As we close out the first month of 2018, we want to share some of our top technology picks when it comes to organizing and growing your business; these are platforms and add-ons that we have found very effective for hundreds of our clients and we want to share them with you! Xero is a cloud based accounting platform specifically built with the small to medium-sized business owner in mind. If your books and records are not already in the cloud, 2018 is the year to transfer; your financial data can be converted from Excel spreadsheets, Quickbooks, and other platforms into Xero with the assistance of a Bookkeeper360 certified Xero advisor. Xero manages your financials in real-time; Xero features client invoicing, inventory management, payroll, live bank feeds, bill pay, project management and more all within one online portal. With a focus on small and medium-sized businesses, you will find features tailored to your specific needs in comparison to enterprise solutions which may be overly cumbersome. Astroboards compiles data from multiple sources in real time allowing you to view your important reports all in one place through a unified command center. Astroboards integrates with a multitude of business software platforms including Xero, Google sheets, Google Analytics, and Shopify, among others, to generate real-time financial, operational, and marketing KPI’s. 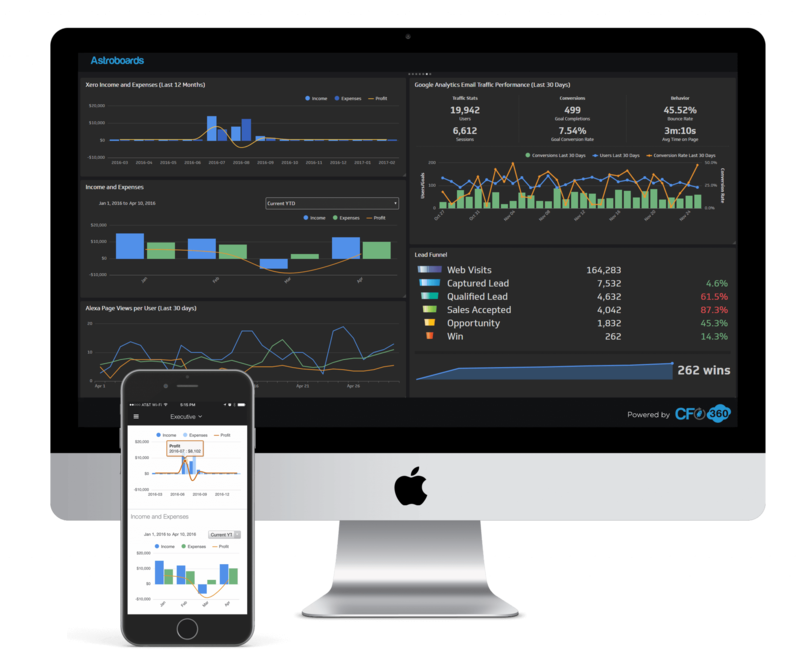 Astroboards’ real-time reports and graphs will help you make informed business decisions, implement streamlined management processes, and see alerts and trends as they happen so you can pivot your business faster. Astroboards are optimized for every device and browser, allowing you access to Astroboards from anywhere! The complete visibility and ease of readability of Astroboard reports will allow business owners to identify their day-to-day key business metrics like never before. Trello keeps track of projects in real-time. Trello is a virtual board where you can create your own projects in a visual pipeline customizable to your company’s needs. Trello allows you to set deadlines, assign projects, add notes, and keep all your projects on track to meet every deadline. Trello allows you to invite your entire team, create different boards for each department, and best of all, is completely free. For example, your marketing team can have their own project board while your sales team has their own, all living in one central dashboard. You see basically everything happening in your company at a given moment through your own Trello board. Docs is a collaborative way to edit and create word documents in real-time with anyone the document is shared with on the G Suite platform. Edits can be made simultaneously by multiple people allowing for maximum efficiency and review capabilities. Sheets prepares Excel like spreadsheets and works in the same way as Docs allowing for collaboration. Slides is essentially a presentation platform in the cloud with the same sharing and creation capabilities as Docs. Forms allow you to create surveys, questionnaires, and other types of information gathering documents to send out to your team or external contacts. With customizable restrictions, information shared on the forms can be kept secure for review by the proper members of your organization. G Suite does not face direct competition for the overall number of features offered within the individual platform. The platform is very reliable, highly customizable, and has endless features which will surpass the needs of almost all small to medium-sized businesses. 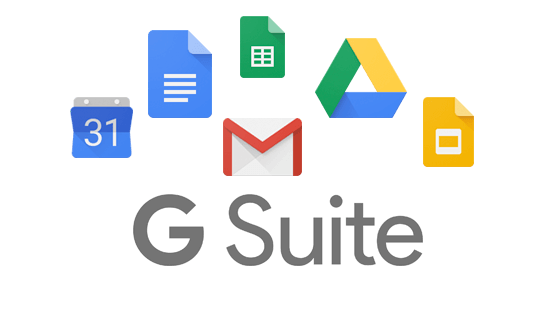 G Suite allows you to integrate directly with other cloud software to create a powerhouse of information and collaboration. Google Analytics is a free platform that offers web analytics to track and report on website traffic. This service has been in existence since 2005, however, the number of features have drastically increased. There is a paid version for enterprise-sized clients, however, small and medium-sized businesses should be able to attain great value from the free platform. Google analytics should be a part of every website irregardless of company size. With Google Analytics you can easily create tracking codes and see the success of every page and aspect of your site. Allowing you to make the most informed business decisions with full clarity, learn about the traffic coming to specific pages of your website, where that traffic is coming from, and analyze how to improve traffic to pages that may be underperforming. Salesforce serves as the backbone of many of the largest companies in the world. Salesforce is a cloud-based Customer Relationship Management platform. Features within Salesforce include sales, services, marketing, analytics, and more customizable areas created to suit the specific firm needs you have. Salesforce is constantly developing the relationship between sales, customer support, sales tracking, and employee collaboration. Your client relations team can track inbound leads in real-time, see deliverables promised to a new sale, and access information needed to convert a sale into a satisfied client. With a robust platform for all divisions of your company to utilize - no information will go to the wayside. RingCentral is the pioneering force in the cloud communication sphere. With RingCentral you can operate your office’s enhanced communications from a central phone system, even if your employees are found across the globe. The key reason cloud communications are essential are their integrations with cloud based services such as Box.com, Dropbox, Google, Salesforce, and Zendesk. In addition to all the features one would expect in a traditional system transfer, auto-receptionist, call recording, call waiting, etc. Overall productivity will increase thanks to features focused on collaboration with other cloud services. We cannot stress enough the need to build a suite of software that makes your business more efficient, accurate, and scalable in 2018. Start by evaluating software to handle core business needs; these include accounting, billing, expense management, communications, document storage, data analytics, among others. Next, find out how all these different platforms can be integrated together to create the strongest back office your business has ever had. Don’t know where to begin? Bookkeeper360 can provide a thorough business evaluation and consultation while guiding you toward continued success. Through the utilization of third-party software platforms, companies that have consulted with Bookkeeper360 have seen greater short and long-term success.